In nature, there is art. And in this art, there is nature. In After the Wetlands: John Valentino, the artist, author, curator and educator has created works of that bring together his passions and expertise in a multidimensional exhibition that will provide an immersive and thought provoking experience for audiences. After the Wetlands opens Saturday, Dec. 9, with a reception from 6 to 9 pm at St. Tammany Art Association’s Art House. Recreating nature has been a recurring theme in the artist’s work for nearly a decade. A subject of particular interest has been the ongoing efforts to restore Louisiana’s disappearing wetlands, which the artist believes are more focused on maintenance than preservation, ultimately transforming the natural ecosystem into something that is anything but natural. The focal point of After the Wetlands is a school of eight motorized fish, each floating within its own boxed frame. The colorful sculptures capture the grace and fluidity of the creatures, while also serving as a reminder of the fragility of the environment in which they live. The installation also includes a work created specifically for this exhibition. “See Level” is a twelve-foot long animated work emulating ocean waves via six mechanical layers propelled by motors, belts and servos. Completing the exhibition are additional small works, also reflective of the water-based theme. Valentino is the Professor of New Media and Animation at Southeastern Louisiana University, for which studies explore the incorporation of traditional materials and techniques with electronics and computer generated imagery. Following the opening reception, After the Wetlands will remain on view in the STAA Art House through Saturday, January 27. St. Tammany Art Association is located at 320 N Columbia St. in downtown Covington. Gallery hours are Tuesday through Friday, 10am – 4pm and Saturdays, 11am – 4pm. The exhibition is free and open to the public, and is supported by a grant from the Louisiana Division of the Arts, Office of Cultural Development, Department of Culture, Recreation and Tourism in cooperation with the Louisiana State Arts Council as administered by the St. Tammany Commission on Cultural Affairs. Downtown Monroe & West Monroe’s 9 art galleries open their doors for the third installment in our ten year celebration – December 7th’s Downtown Gallery Crawl! 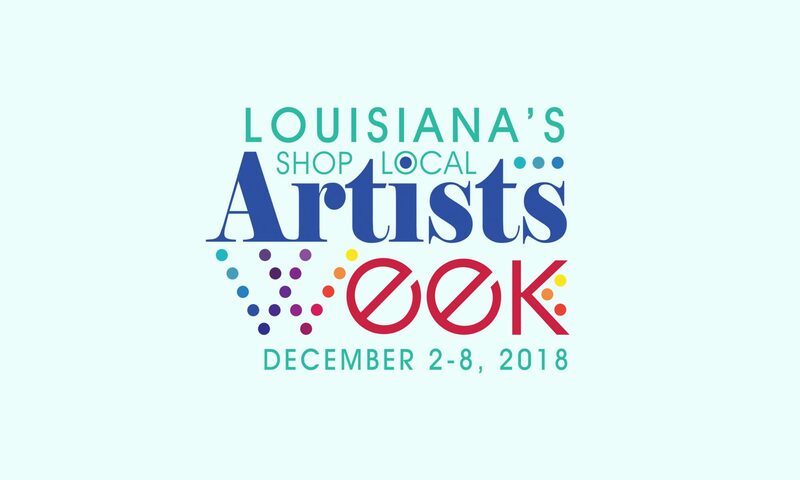 Fine art, live music and good food make this FREE event a wonderful opportunity to view North Louisiana’s finest artists, makers and artisans. Self/Reflection: Photographs from the New Orleans Museum of Art is an exquisite collection of works currently on display at St. Tammany Art Association’s Art House, organized by NOMA. The gallery will be open from noon to 5 pm on December 3 during St. Tammany’s Holiday Festival of Arts, a Shop Local Artists Week event. This marks the final date of the exhibition. Admission is free. This exhibition is supported by a grant from the Louisiana Division of the Arts, Office of Cultural Development, Department of Culture, Recreation and Tourism, in cooperation with the Louisiana State Arts Council, and as administered by the St. Tammany Commission on Cultural Affairs, St. Tammany Parish Government. Funding has also been provided by the National Endowment for the Arts, Art Works. Deck the Halls, Fa La La, Goody Gumdrops and Holly Jolly! Tis the Season for a holiday shopping spree and artspace is the place to rock around the Christmas tree. It’s SHOP LOCAL ART – and SMALL BUSINESS SATURDAY, but HOLIDAZE is so big it’s going to take a full month (through December 30) and three entire floors to unwrap all there is to see and do.